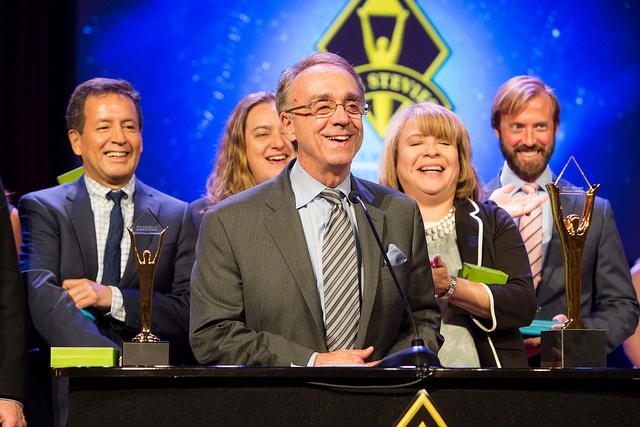 The Stevie® Awards has opened entries for The 16th Annual International Business Awards, the world's premier business awards competition, which attracts nominations from organizations in more than 70 nations and territories each year. All individuals and organizations worldwide—public and private, for-profit and non-profit, large and small—may submit nominations to The International Business Awards. The early-bird entry deadline, with reduced entry fees, is 10 April. The final entry deadline is 8 May, but late entries will be accepted through 12 June with payment of a late fee. Entry details are available at www.StevieAwards.com/IBA. Juries featuring more than 150 executives will determine the Stevie Award winners. The Gold, Silver, and Bronze Stevie Award winners will be announced pm 13 August. Stevie Award winners will be presented their awards at a gala banquet in Vienna, Austria on 19 October. A variety of new categories, including the IT categories Best Technical Support Strategy and Implementation and Best Technical Support Solution. In categories for business-related media, there are many new Live Event, Publication, and Video categories. Entry fees have been eliminated for nominations to the Company of the Year categories. Gold, Silver, and Bronze Stevie winners in these these 35 by-industry categories will again be included in the worldwide public vote called the People’s Choice Stevie Awards for Favorite Companies. In the Marketing, New Product & Service, and Public Relations categories, nominees may now submit a video of up to five minutes in length, instead of the traditional written Stevie Awards essay or case study. Stevie Award winners in the 2018 IBAs included DHL Express (worldwide), Dubai Health Authority (United Arab Emirates), GXEVER (China), iFinance Canada, Kia Motors Corporation (South Korea), LLORENTE & CUENCA (Spain), Megaworld Foundation (Philippines), NBCUniversal (USA), Net World Sports (Wales), Shinhan Bank (South Korea), Telkom Indonesia, and many more. With the influx of electric car companies, automobile functionality and design are finally becoming smarter, but are car-related rules and regulations keeping up? Artificial intelligence capabilities are migrating from our phones and finding new ways to be helpful behind the steering wheel, but these advances in computers, sensors, and software mean legislation needs to address new problems and situations. Simply put, these laws must provide a more nuanced and modern take on what today’s drivers need. 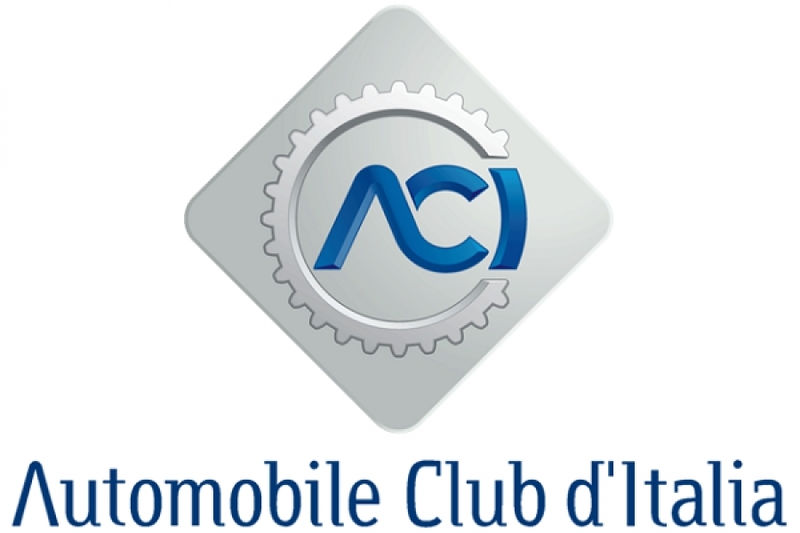 Automobile Club d’Italia (ACI) is a public institution dedicated to promoting and safeguarding the interests of Italian motorists. They carry out their mission to promote road safety, to act for a sustainable mobility, and to support and to develop motorsports by enhancing their positive attributes. The company also aims for all Italian citizens to have equal access to mobility-related services. To that end, they provide the necessary support to ensure social programs are never negatively affected by any kind of private profit. ACI and motorists want new measures aimed primarily at eliminating older and obsolete vehicles. This will contribute to decreased pollution, as well as less vehicular accidents (in number and severity). Luckily, ACI is a governmental institution. Ludovico Fois, the external relations and institutional affairs advisor at ACI, speaks to that. ACI has been working for mobile Italian citizens for over 100 years, guiding and assisting Italian motorists, as well as supporting the development of a new mobility culture. As a result, Italian road users recognize ACI as their reference point for many mobility-connected matters. Intelligent transport systems and services, digital applications, electric-powered engines, and a litany of unforeseen changes all look to contribute to future mobility challenges. Deep technological changes in the automotive sector will require more dynamic, rational, flexible, and environmentally friendly responses to sustain this new mobility culture. ACI spent years creating a wide network of field offices, acting as a model for other companies looking to create concrete change through legislative bodies. They eventually covered the entire national territory and had a main office based in Rome, Italy. This led to widespread cooperation with governmental Italian institutions, trade associations, and European organizations, a critical synergy for progress. ACI also organizes a wide range of activities, including road safety and driver education classes, roadside assistance, vehicle paperwork, traffic information services, and motorsport events. The breadth of offerings is indicative of the complex needs of the industry which will have to be monitored as the technologies evolve. Just like ride-sharing companies, such as Uber and Lyft, and countless tech firms trying to eliminate or to mitigate driving-related annoyances with new technological advances, ACI is traversing this wild west of mobility. For their campaign to promote a new mobility culture, ACI won a Bronze Stevie for Communications or PR Campaign of the Year in The International Business Awards®. The Stevie® Awards have announced the winners of the Best of the IBA Awards in The 2018 (15th Annual) International Business Awards®, the world’s premier business awards competition. Nominees in the 2018 IBAs were not able to apply for the Best of the IBA Awards directly. Winners were determined by a points system based on the total number of awards won in the IBAs with a Gold Stevie win counting for three points, a Silver Stevie win for two points, and a Bronze Stevie win for 1.5 points. This year’s Gold, Silver, and Bronze Stevie Award winners in The International Business Awards were announced on 9 August. 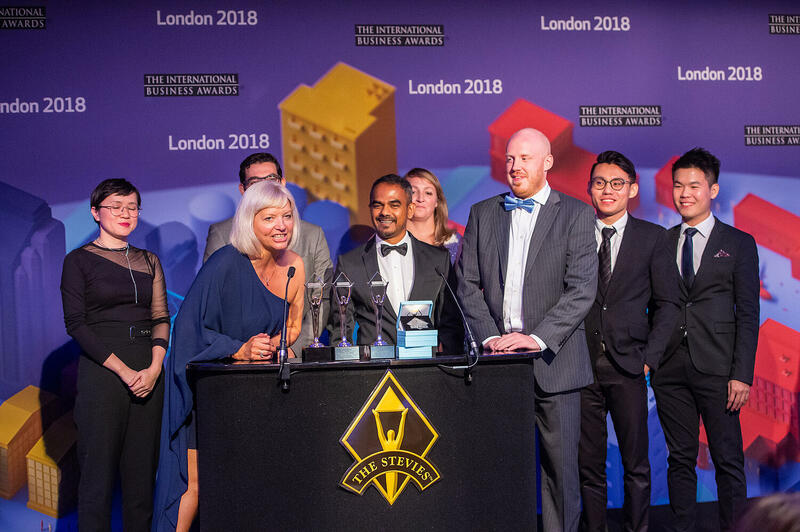 The winners of the Best of the IBA Awards will be presented with Grand Stevie Award trophies at The 15th Annual International Business Awards banquet at the Intercontinental London Park Lane Hotel on 20 October. Most Honored Organization: International mail and logistics company DP DHL Group, with 84.5 award points earned by Gold, Silver, and Bronze Stevie-winning entries submitted by their offices and affiliates in 30 countries. With approximately 520,000 employees in more than 220 countries and territories, the Group generated revenues of more than 60 billion Euros in 2017. Most Honored Public Relations Agency: ASDA’A BCW, with a total of 53 award points earned by Gold, Silver, and Bronze Stevie-winning entries submitted on behalf of clients like Ford and GEMS Education. The company, headquartered in Dubai with 11 offices in the Middle East, also won a Top 10 Grand Stevie Award in 2017. Most Honored Marketing Agency: GXEVER, with a total of 25 points earned by Gold, Silver, and Bronze Stevie-winning entries submitted by their headquarters in Beijing and offices in Shanghai, Chongqing, and most of China’s smaller cities. Most Honored Interactive Services Agency: Magnet20, with 26.5 points earned by Gold, Silver, and Bronze Stevie-winning entries submitted by their office in Istanbul, Turkey for Stevies won on behalf of clients including GSK Turkey Company and Akçansa Company. The International Business Awards feature a wide variety of categories to recognize achievement in every facet of work life, including management awards, new product awards, marketing awards, PR awards, customer service awards, website awards, and more. Gold, Silver, and Bronze Stevie Award placements in the 2018 IBAs were determined by the average scores of more than 200 professionals worldwide in the three-month judging process. For more information about The International Business Awards, including a complete list of all Stevie Award winners in the 2018 competition, visit www.StevieAwards.com/IBA. 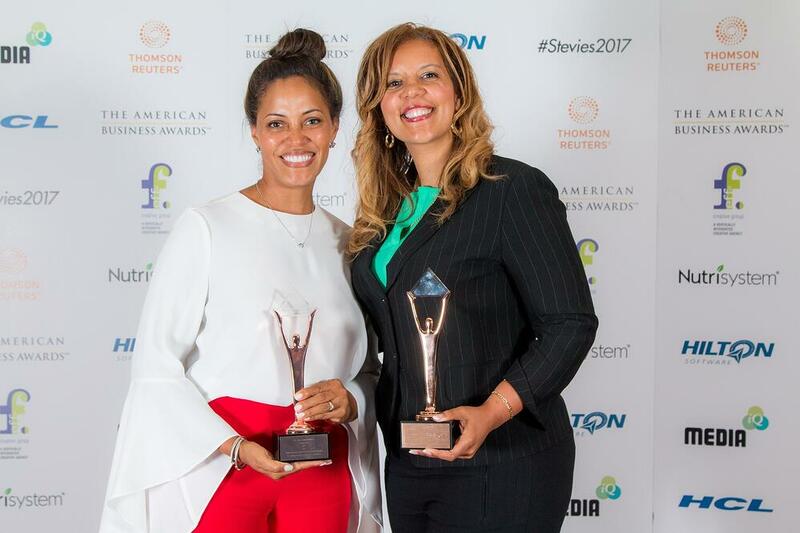 The Stevie® Awards, organizer of the world’s premier business awards programs, has issued the call for entries for its 2018 (15th annual) Stevie Awards for Women in Business. Entry kits and complete details on the competition are available at http://www.StevieAwards.com/Women. The awards are produced by the creators of the prestigious American Business Awards® and International Business Awards®. The Stevie Awards for Women in Business honor the achievements of working women in more than 90 categories, including Entrepreneur of the Year, Executive of the Year, Mentor or Coach of the Year, Lifetime Achievement Award, Achievement in Equal Pay, Women Helping Women, Employee of the Year, Woman-Owned or -Run Company of the Year and Innovator of the Year. All female entrepreneurs, executives, employees and the organizations they run, worldwide, are eligible to be nominated. The final entry deadline is August 22, but late entries will be accepted through September 28 with payment of a late fee. Finalists will be announced on October 4, and the Gold, Silver and Bronze Stevie winners will be revealed at a gala awards dinner at the Sheraton New York Times Square Hotel in New York on November 16, 2018. Most categories require the payment of an entry fee for the submission of a nomination, but several categories require no fee, including most of those honoring women in the non-profit and governmental sectors, Female Employee of the Year and the Startup of the Year categories. The 2017 Gold, Silver and Bronze Stevie Award winners reflected a diverse group of large and small organizations around the globe. The 2018 Stevie Awards for Women in Business will be judged by more than 200 leading professionals around the world, and nominees will have access to all of the judges’ comments and suggestions about their nominations: an invaluable resource. Who's Coming to The 2018 American Business Awards on Monday? The 2018 (16th annual) American Business Awards® - the U.S.A's top honors open to all organizations operating in the U.S.A., and feature a wide variety of categories to recognize achievement in every facet of the workplace- will be presented this Monday, June 11 at the Marriott Marquis Hotel in New York City. More than 650 nominees and their guests will attend to be presented with their Grand, Gold, Silver and Bronze Stevie Awards. The presentations will be broadcast live, beginning at 6:45 pm ET. T and T Consulting Services Inc. The Stevie® Awards announced today the Grand Stevie Award winners in The 16th Annual American Business Awards® competition. Winners will be presented their Grand Stevie Awards trophies at the ABA’s gala banquet on June 11 in New York. FIS, the Jacksonville, FL-based leader in financial services technology, will be presented the Grand Stevie Award for Most Honored Organization of the Year. FIS earned 70 award points, more than any other entrant. Stevie Award-winning organizations are accorded three points for each Gold Stevie win, two points per Silver Stevie win, and one-and-a-half points for each Bronze Stevie win. 10Fold Communications, with offices in San Francisco, the Bay Area, Southern California, Texas, and Colorado, has won the Grand Stevie for Most Honored PR Agency of the Year with 29 points earned on behalf of clients including Agiloft, Attack IQ, and Versa, among others. Other top ABA Grand Stevie winners include George P. Johnson Experience Marketing (Auburn Hills, MI) for Most Honored Interactive Agency of the Year with 21.5 points and Merkle (Columbia, MD) for Most Honored Marketing Agency of the Year with 18.5 points. Grand Stevies were also awarded to the 10 other organizations with the most points in the 2018 competition. All organizations operating in the U.S.– large and small, public and private, for-profit and non-profit—are eligible to submit nominations to the ABAs in a wide range of categories, honoring achievement in every aspect of work life, from customer service and management to public relations and product development. More than 3,700 nominations submitted to the 2018 competition were reviewed and rated in the judging process by more than 200 professionals, whose average scores determined the Gold, Silver, and Bronze Stevie Award winners who were announced earlier this month. The June 11 awards presentations will be broadcast live via Livestream. For a complete list of the 2018 Stevie Award winners, visit http://www.StevieAwards.com/ABA. Sponsors of The 2018 American Business Awards include HCL America, John Hancock Signature Services, and SoftPro. Trade shows and conferences can be great opportunities for businesses to meet prospects—but they can also be crowded places where exhibitors find themselves in competition with hundreds or even thousands of other companies to catch the eye of attendees. That’s why many exhibitors hire experts like Live Marketing, a U.S. firm that specializes in creating memorable experiences. For example, a food ingredient developer enlisted them when it sought to create a buzz around its newest solutions at an important industry event. Live Marketing’s answer: RFID sensors to trigger an interactive, multi-screen display when guests “pick and place” various food items, a novel approach that helped the client exceed its lead-generation goal. For a medical device maker, the team created a unique conference display featuring a glass-encased laboratory dotted with scannable hotspots that let the visitor experience its products firsthand. Each interaction prompted a brief video or augmented reality sequence, resulting in an immersive tour through the lab. Underpinning those examples, and many other projects, is a reliance on technology to push the boundaries of what a live corporate event can be. 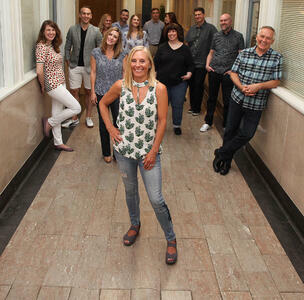 It’s an approach that Anne Trompeter, then a 10-year veteran of the Chicago-area firm, brought to the forefront when she bought Live Marketing in 2014. The organization has long had a prominent position within the world of corporate events. Launched in the 1970s, the agency was a pioneer in the experiential marketing industry. It was the brain trust that helped introduce the Intel Pentium processor and the world’s first flip phone to the marketplace. When she took the reins four years ago, Trompeter’s goal was to make sure the firm didn’t grow stale. “I bought Live Marketing from its original founder with a clear vision to reinvigorate and refresh the company to be relevant for today’s sophisticated experiential marketing and technology-activated approaches,” she says. In a short period of time, she’s helped make that vision a reality. The company has won numerous industry awards for its innovative, tech-based exhibits, and Trompeter recently garnered the Silver Stevie® award for Female Entrepreneur of the Year in The 2017 American Business Awards. Breathing new life into the agency hasn’t been a solo task, something Trompeter readily acknowledges. One of the changes she made early on was to get the most out of what she saw as untapped potential within the staff. “I’ve shifted our creative process so we are all challenged to bring in new engagement ideas on a regular basis,” she explains. She’s also put a premium on helping employees grow, either within their role or in new positions. In one instance, a member of the marketing team expressed an interest in being a producer, a job with which she had little experience. Not wanting to lose one of her valued employees, Trompeter helped ease her into the new role over a period of 18 months. “By mid-2017, she was full-time producer and is very happy and productive,” the executive says. In another instance, the executive leveraged an employee’s degree in theater management by moving him up into a production role. Once an assistant to Trompeter, he’s now a full-time creative director with a roster of his own clients for which he writes and develops concepts. As if running a top-tier events marketing firm isn’t challenging enough, Trompeter does it while juggling a litany of other roles. Among them: parent, church choir member, and triathlete. The Stevie® Awards, organizer of The American Business Awards℠, announced today that the final entry deadline for the 16th annual ABA competition has been extended to April 13. No additional late fees will be charged. Entries submitted through April 13 will not be penalized in any way in the judging process. “We’ve received so many requests for individual deadline extensions that we’ve decided to extend the deadline for everyone,” said Stevie Awards president Michael Gallagher. The original final deadline was March 14. The American Business Awards are widely considered to be the premier business awards program in the U.S.A. All organizations operating in the U.S.A. are eligible to submit nominations— public and private, for-profit and non-profit, large, and small. The 2018 awards will honor achievements since the beginning of 2017. Entry details are available at http://www.StevieAwards.com/ABA. New categories in the 2018 American Business Awards include seven new Software Solution categories, four Lifetime Achievement Award categories, four additional Marketing Campaign categories, two new PR Campaign categories, one new category for Live Events, and Best White Paper or Research Report. More than 200 executives on 12 juries have already begun the process of rating nominations to determine the Gold, Silver, and Bronze Stevie Award winners. Stevie winners will be announced on May 1, and the awards will be presented at a gala banquet on June 11 at the Marriott Marquis Hotel in New York City. Attendance is not required to win. The list of past Stevie Award winners in The American Business Awards reads like a who’s who of innovation and business success in the U.S.A. 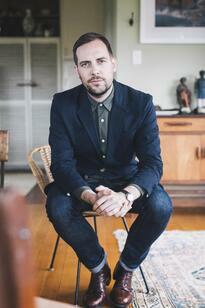 Explore the list of last year’s winners. 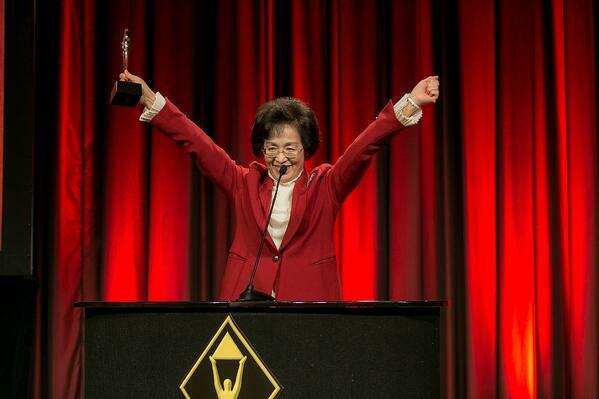 The Stevie® Awards has opened entries for The 15th Annual International Business Awards, the world's premier business awards competition, which attracts nominations from organizations in more than 60 nations and territories each year. All individuals and organizations worldwide—public and private, for-profit and non-profit, large and small—may submit nominations to The International Business Awards. The early-bird entry deadline, with reduced entry fees, is April 11. The final entry deadline is May 9, but late entries will be accepted through June 13 with payment of a late fee. Entry details are available at www.StevieAwards.com/IBA. 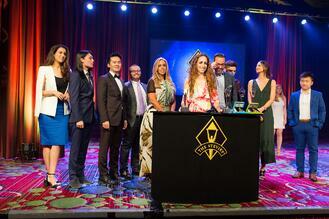 Juries featuring more than 150 executives will determine the Stevie Award winners. Results will be announced 9 August. Stevie Award winners will be presented their awards at a gala banquet in London, United Kingdom on 20 October. A variety of new categories are introduced for the 2018 competition, including a new group of categories to recognize the Entrepreneur of the Year and Founding Teams in many industries. In addition to seven new Software Solution categories in the New Product & Services section, there’s a new selection of categories to recognize Content Solutions. There is one new category, Best White Paper or Research Report, in the Publication categories and one new category, Engaged Community of the Year, in the Marketing categories. There are two new PR Campaign categories in the Public Relations section. Finally, there are four new Lifetime Achievement Awards categories in the Management section. 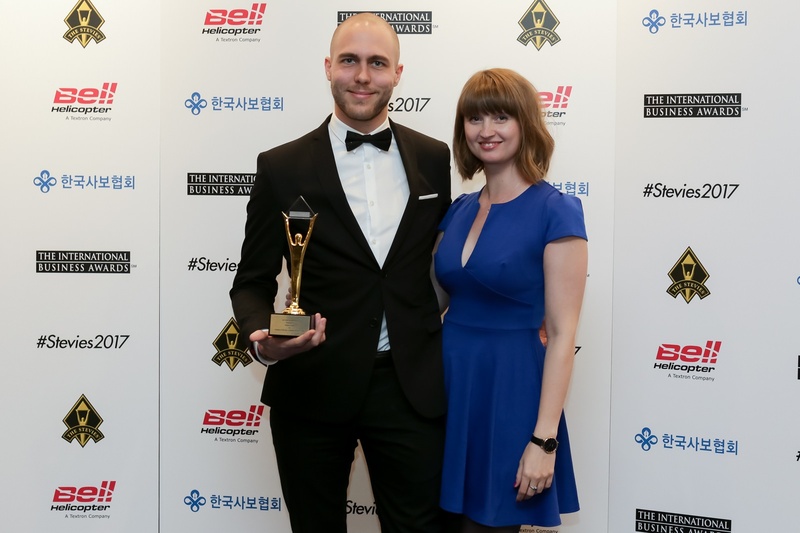 Stevie Award winners in the 2017 IBAs included: Cisco Systems (USA), Domino's Pizza (Turkey), Freelancer.com (Australia), Garanti Bank (Turkey), KT (South Korea), Llorente & Cuenca (Spain), Meltwater (USA), MSLGROUP (USA), PRIZM (Hong Kong), Sunny Side Up (Japan), Syncron (Sweden), Telkom Indonesia (Indonesia), Thai Life Insurance Plc. (Thailand), Viettel Group (Vietnam), Weber Shandwick (United Kingdom), WNS Holdings (P) Ltd. (India), and Wolters Kluwer Tax & Accounting (USA). The team at Vend, a San Francisco, CA based point-of-sale software company in the USA, has built a multitude of features into their retailer software that can be confusing to the average person—from inventory management and digital receipt generation to customer loyalty capabilities and an analytics dashboard. Such abundant functionality is great for users, but can be a headache for the marketing team. How do you convey all those benefits in a short presentation that doesn’t lose the audience’s attention? Vend seems to have found the answer, as evidenced by a brief video it shares with prospects via YouTube and other channels. Using in-house talent, including writers Simon Pound and Nick Houldsworth and their Director of Design, Michael Ramirez, the segment earned the company its second Gold Stevie® Award in three years. The goal: communicate everything the app can do, in just two minutes. That’s no easy task when your product’s prime benefit is being an all-in-one solution that retailers can turn to for their sales optimization needs. The creatives at Vend developed a video that laid out the software’s top five selling points, but also imparted a lively feel that keeps the viewer engaged. To do that, they used animation that quickly bounces from one scene to the next. Underscoring the narration is buoyant music—a contribution from James Dansey—that gives the work a lively, playful feel. One of the virtues of the video is that, for its considerable scope, it never loses the viewer. The uncluttered graphics certainly help. Throughout the piece, for example, the team uses the same flower pot to represent the merchandise it can help users manage. The resulting production is proof that you don’t need an off-the-wall idea or gimmicks to make a great video. Sometimes a simple idea and solid execution will do the trick. The payoff: a Gold Stevie in The 2017 American Business Awards for best video in the sales-technology category—not bad for a $5,000 internal production. Considering the company brought home a Gold in 2015 for a product overview video, the creative team is clearly on a roll. In addition to its San Francisco headquarters, the company now has offices in Auckland, Toronto, London, and Melbourne, and has raised more than $45 million (U.S.) from top-tier investors. A smart marketing strategy has certainly helped hasten that growth. Online video, in particular, has proven to be an effective medium, Pound says, because it’s being used in a way that marketers can easily track. “We are loving that with new retargeting and audience creation tools available to us we can now measure and convert from video, meaning it is back in the front of our plans,” he explains. This latest video, entitled “5 ways Vend will transform your business,” has proven to be a particularly powerful tool. People who have seen the video on Vend’s website are twice as likely to request a demo and take a trial. The production was also key to a re-engagement campaign for older leads that it was trying to convert. The effort led to 200 trials, simply by showing how the software has evolved in a compelling way. It’s not the only video for which the company has received attention of late. Its recent e-commerce and PayPal videos have also won awards for their ability to drive results. It’s a recipe that seems to be catching the attention of business owners, not to mention a panel of experienced judges. “Winning Stevie Awards have been huge for our business to ensure we are at a world-class level,” Pound says.